Are we having a spring run of Cod? Unlikely, but there was a few caught over the weekend. I know of at least half a dozen that were caught from the area between the Adelaide and the other side of the bird sanctuary at Ferrybridge. The Portland end of Chesil beach fished far better than Abbotsbury or West Bexington. 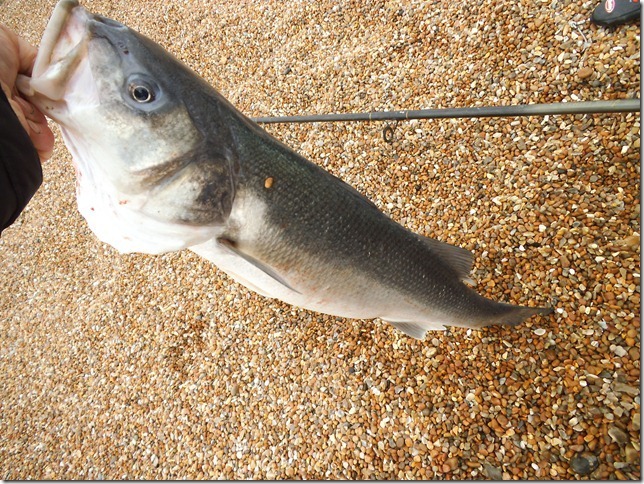 I fished with a mate towards Chesil Cove on Saturday and managed a few Pollock and Pout. Not a great result, but better than nothing. It was no surprise to hear that a few Mackerel were caught, but given the number of people that I seen come down and try for them, numbers of fish caught were very low. The poor visibility in the water want help. Fishing atWest Bexington and Abbotsbury was tough going even for the top Anglers. Weymouth Sea ANgling Society and the Samalite league held matches over the weekend with pretty poor results. Having said that a couple of bonus fish showed up for the winners of each match. Darren Cramer caught a Small Eyed Ray to win the Samalite and James Lane caught a rare (for this area) Haddock of 1lb 12oz to win the Weymouth match. Well done to both anglers. Regular holiday visitor Lee Morgan took advantage of the Surf running at Redcliff and landed a lovely 6lb 2oz Bass on lugworm only 20yds out. Lee used light tactics and was well rewarded for facing up to a full on wind in his face over low water. Chesil Beach: Calm with a 2m swell . The water is still very coloured. Weymouth Bay: A bit of surf on Preston Beach with almost clear water. Chesil Beach forecast: recent reports indicate that there are Plaice,Dabs, Rockling, Pout and Dogfish being caught during the day. However almost without exception the Plaice have been caught at long range on clipped down rigs baited with Ragworm. Portland: With some sun shining and warming the rocks up a bit, the Wrasse should move in and feed. They should be close enough to catch them on float fishing gear. Use Ragworm and set the float depth to about 6ft. Pollock will be around at dusk and will be fairly easy to catch on lures. Portland Harbour: With lots of windsurfers around today, fishing will be restricted to Ferrybridge and round to Castle Cove, or Castletown. Flounder and early Bass will be the main targets. 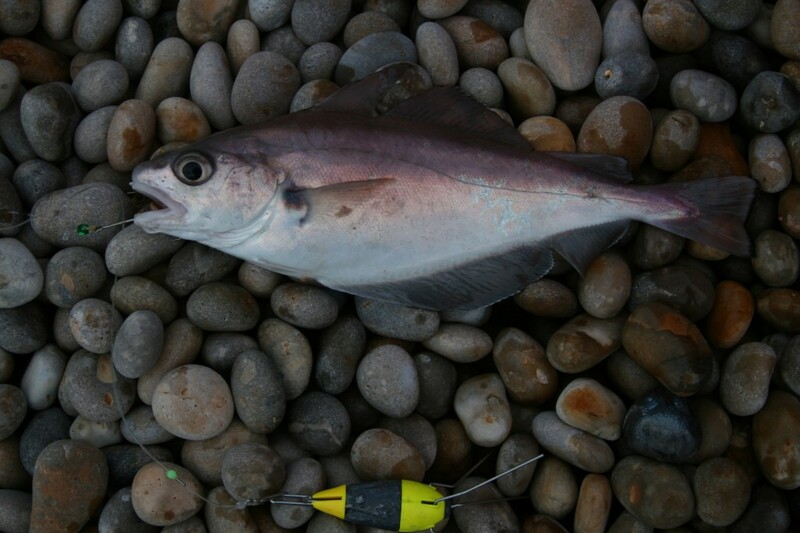 Weymouth Bay: The Stone Pier has produced a few small fish and is always a good back up mark. Preston has the biggest chance of producing a Bass in the surf. Stay light and watch for signs of birds feeding in the surf and follow them if you can.